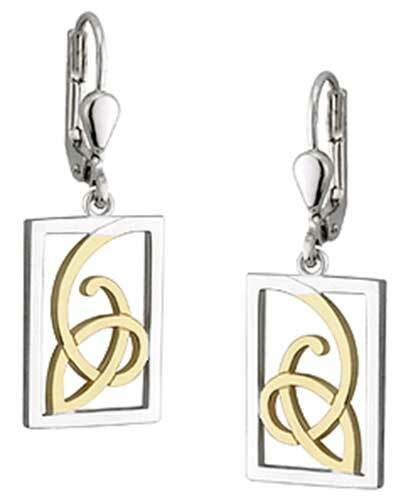 These sterling silver Celtic earrings feature stylized Trinity knots with gold plated accenting. These sterling silver Celtic earrings feature stylized gold plated Trinity knots inside of a rectangular shape. The Trinity drop earrings measures 3/8” wide and are on latching Eurowires.